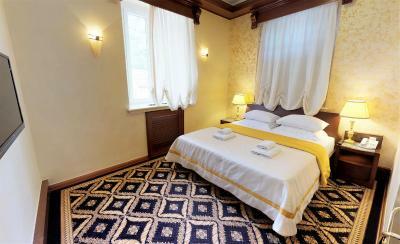 Lock in a great price for Historic Boutique Hotel Cattaro - rated 9.3 by recent guests. Excellent breakfast, superbly friendly and efficient staff and great location. 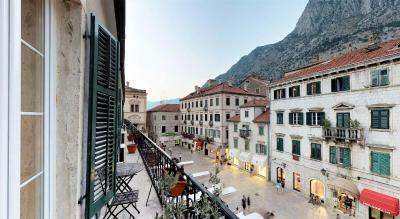 If you want to visit Kotor old town (and you should), then Boutique Hotel Cattaro is the place to stay. The staff is extremely friendly and helps with anything you need. Very good breakfast. Small gifts like chocolate in the pillow. Super friendly staff, excellent location right in the heart of Old Town (not sure it would be as fun in high tourist season). The hotel was in the pedestrianised Old Town which was spotlessly clean. Many traditional restaurants within walking distance. The staff were superb. Great staff! They were really helpful and friendly. They value the customer and do their best to satisfy your needs (I was leaving very very early in the morning and they even prepared a surprise breakfast package for me!) The location is excellent, just in front of the clock tower. The rooms, especially upgraded ones, are super-comfortable. 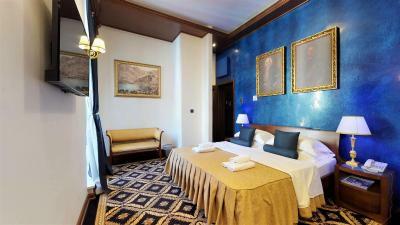 The isolation quality of the rooms is an other positive trait of the hotel. Best location at the Old Town, interior very romantic and well designed, amazing holiday decoration , attention to every detail. Rooms very spacious and well decorated , beds amazing . Excellent breakfast and very nice dinning room. Staff was super helpful and nice, available for any kind of recomendation like places to see or restaurants etc. We will definitelly love to come back again. Great hotel - clean and comfy plus great location. Staff were very helpful and pleasant and even packed lunch the next day as I missed breakfast due to an early morning departure - very thoughtful of them. They definitely went the extra mile. Will definitely stay there again when in town next. Very happy to have met Branćo and Matthew. 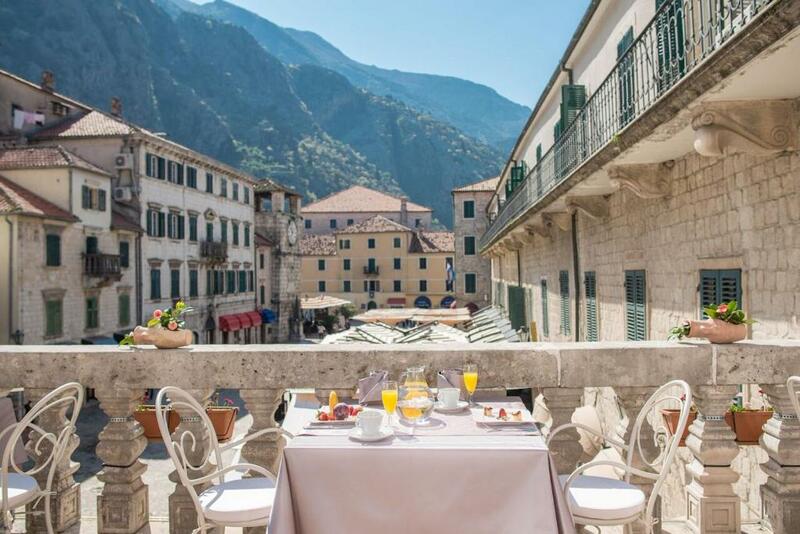 One of our top picks in Kotor.Located in the core of the UNESCO-protected Kotor Old Town, Historic Boutique Hotel Cattaro offers uniquely decorated rooms in a renovated 18th century building. 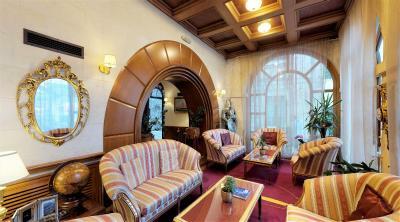 Guests can enjoy local cuisine and international dishes in the hotel’s restaurant or relax in the on-site bar. WiFi is featured throughout the property. 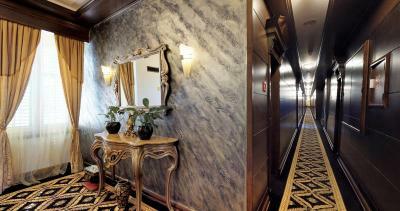 Hotel's interior is air-conditioned and decorated with navy-inspired artworks. All rooms are equipped with a flat-screen TVs and en suite bathrooms which include luxury toiletries, bathrobes and slippers. 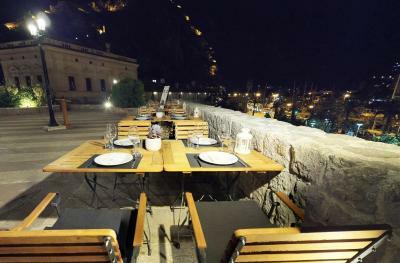 Historic Boutique Hotel Cattaro houses nightclub Maximus, one of the largest clubs in the area which is located in Kotor’s Old Town Square. 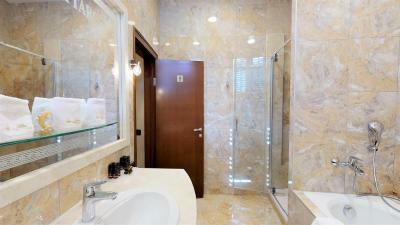 The property offers facilities suitable for meetings or celebrations. 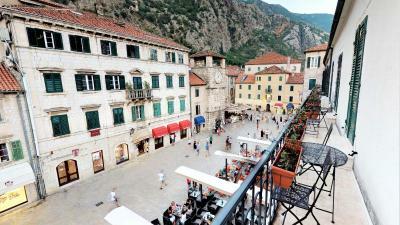 Being a part of the Kotor Old Town walls, this hotel offers views of the Kotor Bay. The nearest airport can be reached within 4.3 miles. 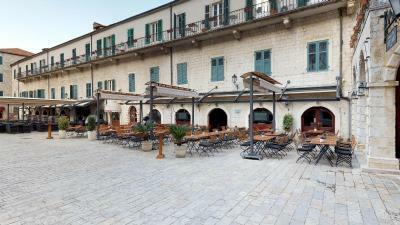 Historic Boutique Hotel Cattaro has been welcoming Booking.com guests since 1 Jul 2010. 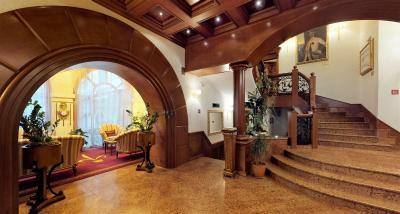 When would you like to stay at Historic Boutique Hotel Cattaro? 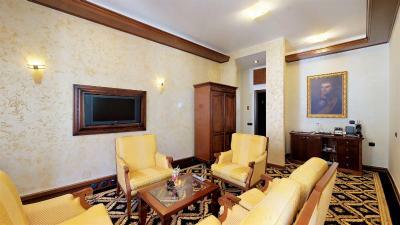 This suite features air conditioning and a TV. 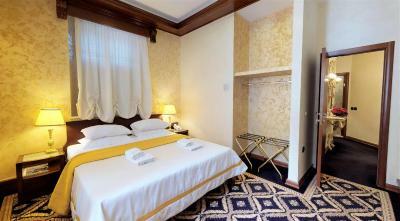 This twin/double room features a balcony, satellite TV and minibar. 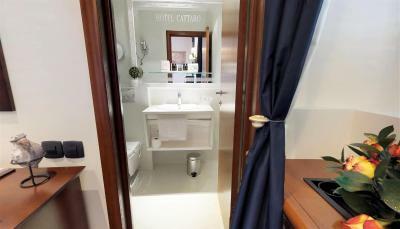 Hotel Cattaro is a 4 -star supreme historic boutique hotel, in the core of historic building, which in 18th century used to be the Napoleon’s Theatre. Cattaro is actually a part of the Old Town walls, that offer the most beautiful view, of the main city’s square, where the old clock chimes return you to the past. 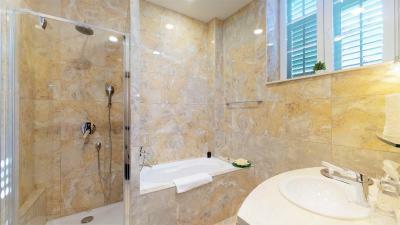 Room amenities include luxury toiletries, bathrobe, WIFI,TV, telephone, air conditioning and heating, bathtub, minibar, safety box. Complex of Hotel Cattaro includes restaurant”Royal” and the pub “As,” where international and domestic dishes are served by our professional waiters. There is also a meeting room, which can host up to 100 people in theatre style. The most spectacular part of the complex is Citadela, where you can enjoy breathtaking view, of the city walls, the bay and the river, wile consuming the variety of food and drinks. Part of the complex includes one of the best nightclubs in the region-Maximus, which hosts the most recognizable musicians from all over the world. Our Hotel complex is perfect for celebrations, weddings, parties, indoor or outdoor places, as it can host up to two thousand people. Hotel surroundings – This neighbourhood is a great choice for travellers interested in architecture, UNESCO sites and history – Check location Excellent location - show map Guests loved walking around the neighbourhood! 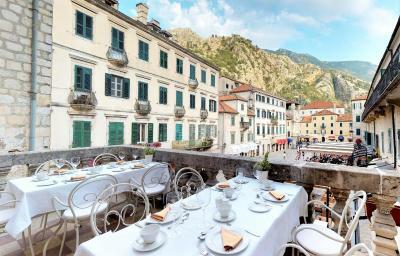 House rules Historic Boutique Hotel Cattaro takes special requests - add in the next step! Historic Boutique Hotel Cattaro accepts these cards and reserves the right to temporarily hold an amount prior to arrival. The town bells clanging every hour through the night (not the hotel’s fault). We found Old Town a little cheesy to be honest but the hike up to the church was worth it! The hot water didn't seem to last long. This is more of an FYI on how the parking works. They gave coordinates to the parking which I recommend you get. You take a ticket and tell the hotel staff who give you a pass, and you pay the hotel for the parking. Then you must take this pass and the original paper parking ticket when you exit. This isn't confusing at all if you know the process. It could be explained better when the hotel is asked about parking, FYI. 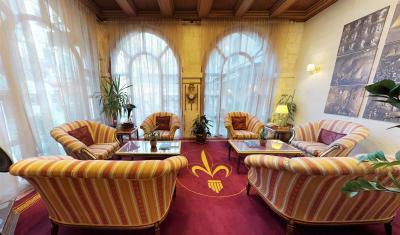 This is a beautiful hotel in the heart of the old town. It is basically a part of the wall of the city. We stayed in a room with a balcony which I recommend. It is a busy area, but the room was still quiet. The staff was so professional and amazing. The breakfast here had fantastic service, and I wish I'd caught the name of the man who ran it. He was fantastic. I will absolutely stay here again. This is more of an FYI on how the parking works. They gave coordinates to the parking which I recommend you get. You take a ticket and tell the hotel staff who give you a pass, and you pay the hotel for the parking. Then you must take this pass and the original paper parking ticket when you exit. This isn't confusing at all if you know the process. Friendship waiter is replied and offered solutions for all special food requirements. 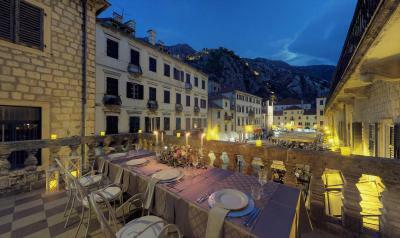 A great hotel in the old town part of Kotor with a wonderful, very helpful staff. We had a nice room with private bathroom. Very clean. The maid brought fresh towels daily!